When an opportunity arose for me to try out a new Bourjois mascara I jumped at the chance. Whilst I hadn't used one of their mascaras before, their lipsticks are massive staples in my make-up bag and if the mascaras are anything like their lipsticks then I was definitely in for a treat. Enter Bourjois Volume 1 Seconde Mascara*! My first thoughts were "wow, it reminds me of the Shine Edition Lipsticks" with it's shiny, mirrored packaging. I received the Black version of this mascara which has the coral pink banding but the Waterproof version has a lovely turquoise banding to it. 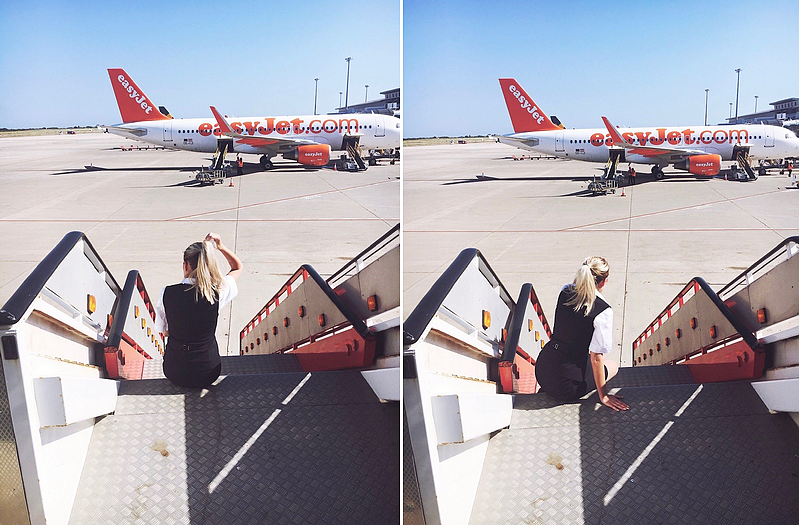 "Maxi Volume from every angle! Ready for your lashes to flutter? Ready to show off super-glamorous lashes in record time? Ready to give your lashes impeccable volume from all angles? Bourjois' new Volume 1 Seconde Mascara has a unique brush with spherical bristles to wrap every lash in a 360 degree motion and straight bristles to create clump free definition." "Apply in a zigzag motion to your top and bottom lashes for an instant eye-opening look." My eyelashes appear to have lots more volume and appear much thicker than before. The mascara isn't too wet, meaning it doesn't transfer onto the skin which is great and it doesn't leave my eyelashes feeling or looking crispy or clumped together. One layer, in my eyes, is perfect for everyday and it's incredibly easy to get the desired look in just 1 second. Bourjois claim this mascara will last 16 hours on the eyelashes (24 hours with the Waterproof version) but I believe it will probably last even longer than that. Overall, I have found another staple in my make-up bag from Bourjois. With the innovative wand with its wraparound spherical bristles, it's easy to apply (and remove!) and easy to build up the mascara to the desired look. With one coat my eyelashes appeared separated and voluminised whereas with two coats, my eyelashes also appeared much thicker and fuller. I can't rave about this mascara enough and for the wand alone it's definitely worth a try. Like my last blog post, this product, Benefit Hello Flawless! Oxygen Wow Foundation, is another item I nabbed from my sisters make-up bag when she was home. As we are both very pale, I didn't have any hesitations about using her foundation colour wise. Had she been a darker skin tone to me I obviously wouldn't go there but as we're twins I think we're allowed. She bought this on Boxing Day last year and it is still going strong. She still has half a bottle left which is pretty incredible considering she's been using it nearly everyday for 6 months. She tells me she only needs one pump for the whole of her face whereas I found that I needed one and a half. "Hello...It's flawless time! It's you...just more luminous & healthy looking! Our brightening makeup builds from light to medium coverage for a natural complexion you can believe in. Goodbye imperfections. Hello flawless! An oil free formula with SPF 25, it builds light to medium coverage whilst feeling barely there. Wit the power of our Oxygen Wow Hydrating Complex, it helps to boost cellular respiration and prevent the signs of ageing. Sounds rather impressive, doesn't it? And guess what? It is. I applied 1 and a half pumps of the Benefit Hello Flawless! Foundation onto the back of my hand and then applied it to my face on top of my moisturiser using my Real Techniques Foundation Brush. I then blended it in using my Real Techniques Buffing Brush and my gosh, did I love the results. I may have mentioned before that I really struggle with finding a foundation light enough for me and even now, I have to drag my foundation down my neck a little to blend it all in but seriously, with this foundation I didn't need to. I did originally use one pump of foundation but as the consistency is a little watery and a little sheer, I needed another half pump just to go over any areas that needed it. Hello Flawless! blended in to my skin perfectly. Perfectly. My skin looked dewy and fresh and most importantly, it looked natural. It looked like I wasn't wearing foundation at all which, obviously, is the point of foundation. I can honestly say, hand on heart, this has to be my favourite foundation I've tried. Yay. I can't possibly say enough nice things about this foundation. Sad thing is, it's not even mine!! I definitely need to buy my own bottle, especially as it's the only foundation I've yet to come across that suits my skintone perfectly. It lasted all day and didn't budge, not even when I was melting (and getting sunburnt) whilst sat on the M4 in traffic for 3 hours. Marvellous. Overall, a perfect foundation for those of you who are fair skinned and struggle to find a foundation that matches your skin. A little goes a long way, with you only needing 1 and a half pumps for the entire face. Yes the consistency is slightly watery and sheer but it makes it a more buildable foundation that doesn't look cakey or caked on in any way. It has SPF 25 in it which makes it even more perfect than it already is and it is available in 11 uniquely named shades. At £26.50 I believe it is excellently priced and it lives up to all of it's claims. Fabulous! My sister coming home from university means two things; someone else to make me tea and her make-up bag. Whenever she comes home I always want to have a little look in to see what I can steal borrow whilst she's here and luckily, not only did she speak very highly of a certain L'oreal Paris Lumi Magique Pure Light Primer but she also let me borrow it too. Hurrah. Firstly, I'm not one to mention the packaging of products purely because I believe they're pretty much self explanatory but I really adore the bottle this primer comes in. It looks much more luxurious and more expensive than it actually is and it doesn't feel cheap either. "L'oreal Paris Lumi Magique Primer provides a light enriching base which illuminates the skin. Provides up to 8 hours of hydration." I wasn't sure how much product I would need so I pumped out a whole pumps worth onto the back of my hand. I also wasn't sure what I was expecting when it came out but I certainly wasn't expecting that. The L'oreal Paris Lumi Magique Pure Light Primer is a white, pearlescent liquid which is pretty runny in consistency. It feels lovely and silky to touch and when rubbed in to the skin, it leaves it with a beautiful subtle glow. "Apply in a figure of '3', from forehead, to the nose, to the chin to highlight bone structure." So, you can apply it how L'oreal suggests like above on top of your foundation as a highlight or underneath your foundation like a primer, which is how I used it. One pump was more than enough for my entire face so if using just to highlight, a little goes a long way. I applied it to the face using a Real Techniques Buffing Brush before applying my foundation like usual and I adored the results. My skin was looking so much more glowy than usual and much more dewy which was just the look I was hoping for. I have to admit and say I was a little worried I would end up looking a tiny bit like Edward Cullen but alas, no. Since trying out this product, I definitely plan on buying my own bottle. Whilst I didn't find it hydrated my skin, it is an excellent multi-use product. It looks fantastic underneath foundation to leave you with a dewy, subtle glow which perks up tired looking skin or applied a a highlighter on the face which leaves you with a beautiful highlight. A little goes a long way so this product will definitely last you a very long time. A summer must have! 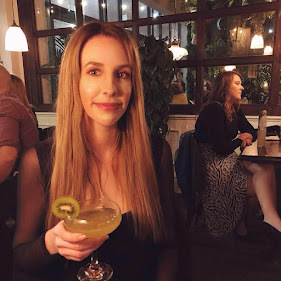 My name is Louise, I'm 20 and I'm a bit of a Harry Potter geek. I own all of the books. The DVD's. The Gameboy games. The Nintendo DS games. The board games.. I think at one point I even owned my own Harry Potter wand and magic set but I'm not entirely sure where they went to. I've even reached Level 30 of Harry Potter on Quizup. Big. Fan. I was four when Harry Potter and the Philosopher's Stone was first published. Eight when the film came out. Whilst I can't remember reading the book at four years old (I imagine I would be a member of MENSA if I did) but I do remember going to the cinema to see the first film. I remember my Aunt falling asleep at the beginning and declaring it "a load of nonsense" when she woke up, despite only watching about ten minutes of it. I remember hopping out of my cinema booster seat utterly enthralled and then rushing home with my sister to play it. If I remember correctly, she was a chess piece and I was the Philosopher's Stone! I then have fond memories of going on holiday to Portugal and reading the first book within a couple of days as the weather outside continued to deteriorate. Memories hey? Since then, nearly thirteen years ago, I have loved everything Potter related. Ask someone what their favourite film is - they might say The Notebook or PS. I Love You, mine is 100% HP. 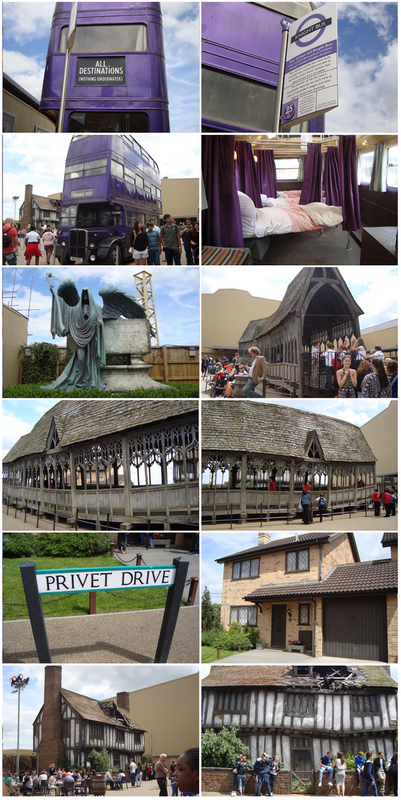 So, where better to go than to the Warner Bros. Harry Potter Studio Tour in Watford! We booked our tickets a few weeks in advance which is essential, especially with the summer holidays coming up. You can't buy tickets when you get there so bear that in mind - I have seen many an angry family on Trip Advisor who made that error! Our tickets were slightly cheaper as we went in June (which is now fully booked) but the Studio's have raised their ticket prices for July. You have to get there 20 minutes beforehand to make sure you have enough time to collect your tickets from the kiosk and to queue up ready for the tour to start so again, bear that in mind. When you reach the (free) car park you are greeted by a lovely and friendly member of staff who allocates parking for you. Alternatively, if you get the train to Watford Junction Train Station, you can hop on a shuttle bus for £2 return to be driven in style to the studios in a rather fetching Harry Potter bus. Personally I think they're missing a trick by not having purple buses but hey, they didn't ask me to help them plan it. When you reach the studios not only can you hear the theme tune to Harry Potter blaring out of the Entrance but you also get the chance to see 3 chess pieces from the first HP film. It's all very exciting and makes you squeal a bit on the inside. The Entrance helps to build up the excitement with photos of the cast dotted around and even a model of the car used in The Chamber of Secrets. Whilst the restaurant doesn't serve Harry Potter themed food, the Gift Shop definitely makes up for it. 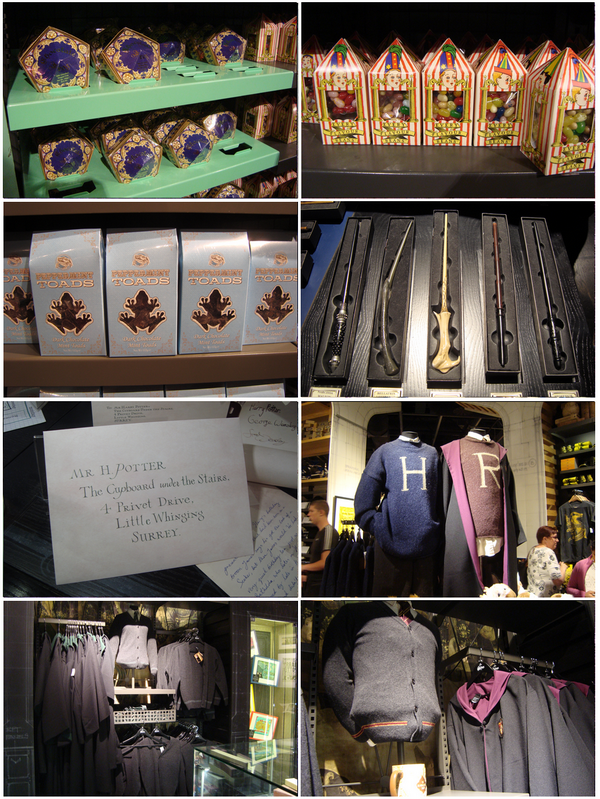 The Gift Shop is a whirlwind of Harry Potter memorabilia. Everything you could want is in the shop and if your dream is to try on a Griffindor Robe then your dreams will definitely come true. The tours themselves are staggered with half an hour in between each one with a designated number of people allowed on each tour. Unfortunately for us we were on the same tour with about 50 school children which, whilst I understand they were excited, so was I and although they didn't ruin the tour for us, they did let it down a little. I won't spoil the surprise of the tour for you but it was very short, around 20 minutes. The rest of the time you are free to walk around at your own pace which is lovely. Because of that, I would say it was more of a Harry Potter museum rather than a tour but don't let that put you off. Once you have broken free from the tour, you can have a little wander and have a look round at all of the fabulous clothes, props and memorabilia used in the films. On multiple occasions I asked my friend to make a scene so I could steal a few bits and bobs but alas, no. If I could have got my hands on anything then Fleur Delacour's dusky blue dress, cape and hat; Neville's dashing cardigan and Hermione's pink Ball dress would be coming home with me, let me tell you! 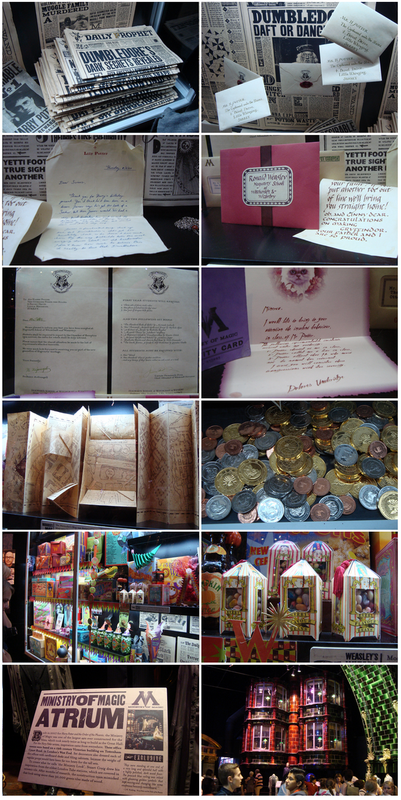 I loved seeing all of the set pieces including a section of the Ministry of Magic, the boys dorm and the Gryffindor Common Room; the various masks used on the actors who played the goblins which I found really interesting and all of the hair and make-up accessories used on the actors. I loved Lucius Malfoy's long blonde wig which I really wanted to touch in a slightly strange way and they had a little table with a few of the make-up products that were used, including a selection of MAC products and a Simple make-up remover. I was dying to ask someone which shade of MAC blusher was used but I couldn't find anyone to ask - typical beauty blogger! After a wander around the first building where we also got to see the Potions Classroom, the Weasley's Kitchen and an insight of how Quidditch was filmed, we entered the outside area which was completely overwhelming. Yes I knocked on the Dursley's front door and climbed into the Night Bus! We tried a Butterbeer which is an essential part of the tour in my opinion but it wasn't to my taste in the slightest which was a shame. Then came the last building where you can walk down Diagon Alley (a definite highlight) and see some of the illustrations and designs that the design team came up with when making the films. The last section of the tour was completely awe-inspiring and dare I say it, a little bit emotional. 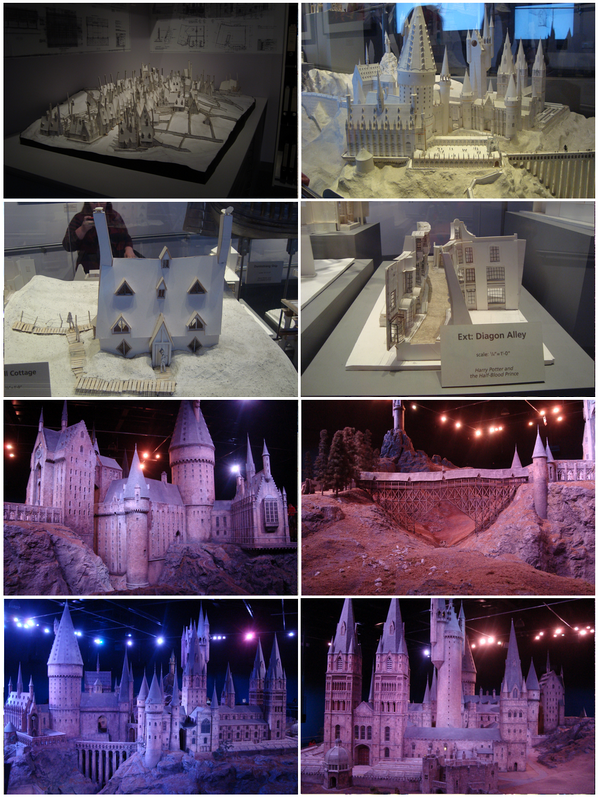 A massive, Hogwarts model which took 7 months to build. Words and photos cannot describe it but it's definitely the best way to end an excellent 3 hours. Our trip in the land of all things Harry Potter ended with a wonder around the Gift Shop and a trip to the restaurant which has free wi-fi meaning you can then post photos of your trip onto social media to brag to your friends about what you have seen. Lovely! I completely and utterly recommend this Tour to those of you who are fans of Harry Potter. You will leave wanting to watch all 8 films back to back and go to sleep resentful of the fact that none of it is actually real. Well done J K Rowling, well done. I'm not one to decorate my room, nor am I one to really go to IKEA. In fact, I managed to get to 19 years of age without ever stepping foot into the Swedish blue and yellow store. When I first stepped foot into IKEA I was a bit taken aback by the little mini rooms within the massive space. I could walk into a little studio apartment and sit down on the bed-come-sofa whilst my friends checked out the bathroom. Slightly bizarre but also amazing inspiration for when you have your own house. On my most recent trip to the King of flat-packed furniture, whilst looking around a hypothetical bedroom some city illustrations caught my eye. They were in black, boxy frames and looked perfect on a plain white wall. Cue a mini rush to the 'Decoration' section to find that the illustrations that I fell in love with were actually posters and don't come with the frames. Booo. I ended up buying the posters with the intention of waiting until I found frames for them but the impatience got the better of me and I got my old-fashioned blu-tack out. I haven't used blu-tack since my school days where I got so many Christmas cards I had to blu-tack them around the house due to running out of surface space. Oh the times when I was popular! Whilst I am still on the hunt for some picture frames, these badboys are staying put on my wall. I love their simplicity and how they fit into my bare, white bedroom with ease. The upcoming summer months means one thing. Out go the jeans and the trousers and in come the shorts and dresses. One thing I notice about the transitioning weather is dry skin, especially on my arms and legs. All of the moisturiser I own (or that I could find) had gradual self tanner in but sometimes when I have dry skin I just want to smother myself in moisturiser and not have to worry about having patches of a slight but noticeable tan. So instead, I went on the hunt for an alternative. After a while of weighing up my moisturising options, I ended up purchasing the Vaseline Essential Moisture Aloe Fresh Lotion. Vaseline have a whole array of moisturisers in different sizes and bottles and they have just launched a Vaseline Spray On Moisturiser which I have to admit, does look very exciting! I bought the standard moisturising lotion in a 200ml bottle. I bought the Aloe Vera Moisturiser over the Clean and Cocoa versions, purely because I liked the idea of aloe vera being a bit fresh scented on the skin. "The Vaseline Essential Moisture Aloe Fresh Lotion leaves your skin feeling light and fresh. Our light feel formula combines pure oat extract + stratys 3 multi-layer moisture which infuses moisture at the top, core and deep down layers of the skin, absorbing quickly - without greasiness." The moisturiser itself is incredibly thick and creamy and it smells lovely and fresh. Once the moisturiser is squeezed out of the bottle you can smell the aloe vera but once applied to the skin it quickly fades. Once a small amount is applied to the skin and rubbed in gently, the skin immediately looks healthy and restored. All dryness quickly disappears and the skin is restored back to normal! Overall, an excellent purse friendly, budget moisturiser. The one small downside to this product is that it does take a few minutes to absorb into the skin and although it works a dream during the summer, I think I will need something a bit more 'heavy-duty' for winter! If you are a Boots Advantage Card Holder member, sometimes you get really good deals in the form of vouchers that you print off from the little machines instore. Very rarely does anything catch my eye but recently something did. A voucher for a half price lipstick. Half price lipstick? I'm sold. The lipstick that was on offer was the Seventeen Supreme Shine Lipstick. Available in 12 different shades, I picked up the colour called Hot Flash. Hot Flash is a pretty dark coral with a hint of a deep orange. It reminds me a lot of the Revlon Just Bitten Lip Stain in Rendevous (review here) but luckily without the peppermint scent. I can't quite work out if I'm a fan of the packaging or not. I like the design and the idea of it, but try and take a photo of it and you're stuffed! As long as the packaging keeps the lipstick in one piece then it's a job well done in my opinion. Onto the lipstick. As much as I adore the pretty deep coral shade, I really struggle to make it show up on my lips. I find it to be a little sheer so it needs a good few coatings to make it show up on the skin which, as irritating as it is, makes it quite versatile as you can build the colour up. I found Hot Flash to last around 3-4 hours on the lips before wearing off completely. I didn't find it too drying but it did show up dry areas on the lips slightly so exfoliating beforehand is a must. It has a beautiful shine to it which makes it very flattering to wear. Overall, a really easy to wear lipstick range that is available in 12 shades. They are a little bit sheer so need building up to get a more of an opaque colour and have a beautifully flattering shine. Seeing those photos makes me wince a little bit! A couple of weeks ago in the UK we had a few days of glorious 22 degree heat which disappointingly left as quickly as it arrived but it didn't leave without giving me a departing gift. Sunburn. On one of those beautifully warm days I sat outside with a book for a couple of minutes without suntan lotion on. Yep, recoil in horror, call me bad names, shun me forever, I went outside without suntan lotion on. But it's okay as I have clearly suffered from my mistake! After a couple of minutes of basking in the heat, I peered over my Raybans and saw my skin changing colour (bronzing it was not) so I popped inside and smothered myself in Factor 30 before pulling my sunnies back on and getting back to the task in hand of sunbathing and improving my general knowledge by a novel by, uhh, Lindsey Kelk. 2 hours, and a couple more suntan lotion applications later I headed back inside and boy, was I shocked when I looked in the mirror. A bronzed goddess I was not. More like lobster red with a very painful patch of what looked like red raw skin on my neck which was a tiny, little bit sore when I moved. There was only one thing for it. Aftersun. My aftersun of choice was the Boots Soltan Aftersun Hydrating Lotion. "This gentle cooling lotion provides intensive hydration to sun-exposed skin. Enriched with aloe vera it soothes, reduces dryness and helps to prevent peeling, for a beautiful tan." Whenever I think of Aftersun I am immediately taken back to summers in Spain when I was a child. Summers where I would jump in an out of the pool at my hearts content. Summers where I would eat as much ice cream as I could manage. Summers where I got horrifcally sunburnt no matter how much suntan lotion my parents slathered onto me. Summers where I was slathered head to toe in aftersun against my will. I can even remember the smell of it! Luckily the smell has improved 13 years later. The smell to the Soltan Aftersun is really fresh and subtle in scent. It doesn't linger on the skin nor is it too noticeable which is great for those who are particular when it comes to creams on the body. "Apply to the face and body after sun exposure and rub in gently." I squeezed a really small amount of the Aftersun into my hand then applied it gently over my sunburn. I found that is absorbed really quickly, so quickly in fact that recently I've been applying it then getting dressed immediately after as it doesn't make my clothes stick to my body like some lotions do. After a couple of days of applying the Soltan Aftersun I noticed that my sunburn started to fade and luckily, the pain started to cease! I also completely skipped the peeling process which is fantastic as, let's face it, no-one likes to watch their own skin falling off, do they? Unfortunately, or fortunately, I burn then I go brown. Which means, 2 weeks on, I am now only tanned where I got burnt which really is not ideal! At least golden brown in patches is better than painful, red raw skin. I really, really love this Soltan lotion. It doesn't have a too noticeable smell, it absorbs in no time and it does the job that you need it to do. You can pick up many variations of Soltan Aftersun Lotion in Boots, including an in-shower Lotion, a spray, a Lotion with cucumber, a Lotion with insect repellent, a Lotion with tan prolonger... Luckily at the moment Boots are selling them all for half price so now's a good a time as any to stock up for the summer and for a holiday!